A long line of exciting Microgaming-powered games are set to be launched. These include one slots game, another slot game involving many players, and a table game that is both unique and exciting. These games are predicted to attract more players this year starting with the month of August. The video slot game is the Mount Olympus: The Revenge of Medusa. This 25 paylines and five reels video slots game is based on the Greek mythology where Medusa’s mane that symbolized ill fortune comes to stand for good fortune in this game. Her hair was made of snakes which stood for bad luck, but in this casino game the writhing snakes activate the bonus features and stand for good luck. The multi-players slot game gives its players a unique chance to interact with each other and is called the Multi-Player Isis, based once again on Greek mythology. As one player starts the bonus, others can join him in it, therefore making a shared bonus round. Unlike regular slots, Triangulation is slightly different. Here the players form triangle chains across a unique triangular grid with matching colors. As the wins are paid, the triangles get moved out of the grid and new ones replace these. When these new ones are added randomly, you can win more, provided they occupy the correct places to complete the chains of triangles. The last kind is the Spingo table game which appeals to fans of roulette and bingo. Here, a roulette-type wheel is spun with numbers in varying combinations from one to ten. Being three-dimensional, this spinning wheel makes the game more exciting visually. All these aforementioned casino games can be played at any casino powered by Microgaming software. Promotions at All Slots Casino are at an all-time high during the months of August and September. In this the Fight Club promotion will take place in nine rounds, with each round for a week. A total of 120 players can win in this promotional offer and those games that have been most played will fetch the top ten players double prizes. Players can also view the live countdown and scoreboards which have regular updates that show you who are winning. The top ten shall get bonus prizes and the 40 runners-up in both Runner-Up slot and Champion Slots will get 20 free spins each. But these free spins will expire after seven days from when they had been given. Moreover, you can get them only in the downloaded software and not when you play using Flash. 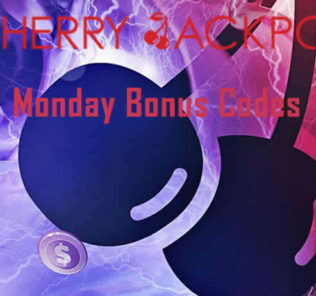 For participating here, you must deposit and wager a minimum of 100 credits on any one of the two featured slots that are being played as part of the promotion for that particular week. In the first round, Tomb Raider-The Secret of the Sword and Avalon are scheduled to be played; in the second round, both Hellboy and Hitman shall be played. You can get more details if you log on to their online casino website that is powered by Microgaming software. All the promotions start at 12:01 am UK time on Sunday and end at 11:59 pm on Saturday. A note of the time is especially important for those participating in these promotions from outside the UK.